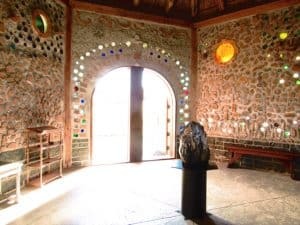 What would it be like to inhabit a healthy and energy efficient home where the walls breathe and the water that falls from the sky is what we drink and wash with? What would it be like to contribute to the restoration of depleted habitats by building with local and natural materials, eliminating the release of greenhouse gases into the atmosphere and begin making a huge step forward to protect our children and theirs from the massive despoliation of forests and ecosystems that we have brought on over the past hundred or so years? We might ask this question first: Can this building that we are constructing be completely recycled and composted at the end of its life cycle? 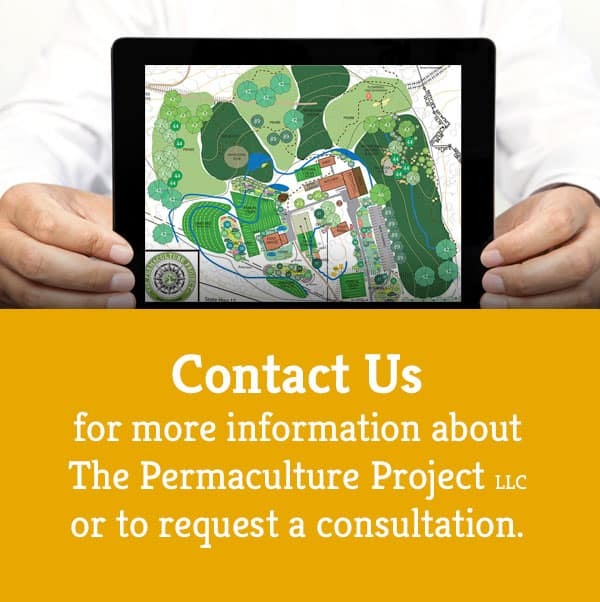 The Permaculture Project LLC and Bio-Culture helps the client(s) plan and design their ideal shelter: home, office, utility building, cabin, etc. If you own an existing home we design in retrofits that will meet a gold standard of ecologically sound and energy efficient planning and design. 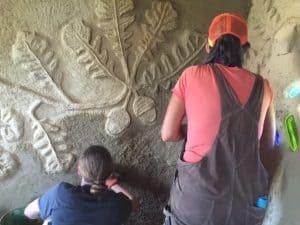 Our team of licensed architects, permaculture designers, engineers and experienced natural builders will put you on the right track not only toward comfortable shelter, while we help you realize your dream of responsible ecological action. Buildings provide shelter, encourage productivity, embody our culture, and certainly play an important part in life on the planet. In fact, the role of buildings is constantly changing. Buildings today are life support systems, communication and data terminals, centers of education, justice, and community, and so much more. Buildings that integrate and optimize all major high-performance building attributes, including energy efficiency, durability, life-cycle performance, and occupant productivity. High-Performance Buildings as the integration and optimization on a life cycle basis focuses on all major high-performance attributes, including energy conservation, environment, safety, security, durability, accessibility, cost-benefit, productivity, sustainability, functionality, and operational considerations. An “integrated” design approach asks all the members of the building stakeholder community, and the technical planning, design, and construction team to look at the project objectives, and building materials, systems, and assemblies from many different perspectives. Through a systematic analysis of interdependencies, and leveraging whole building design strategies to achieve multiple benefits, a much more efficient and cost-effective building can be produced. A natural building involves a range of building systems and materials that place major emphasis on sustainability. Ways of achieving sustainability through natural building focus on durability and the use of minimally processed, plentiful or renewable resources, as well as those that, while recycled or salvaged, produce healthy living environments and maintain indoor air quality. 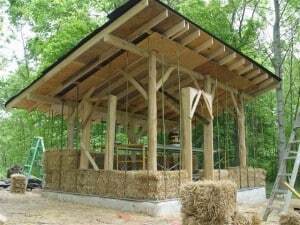 Natural building tends to rely on human labor, more than technology. To be more sustainable, natural building uses primarily abundantly available, renewable, reused or recycled materials. The use of rapidly renewable materials is increasingly a focus. In addition to relying on natural building materials, the emphasis on the architectural design is heightened. The orientation of a building, the utilization of local climate and site conditions, the emphasis on natural ventilation through design, fundamentally lessen operational costs and positively impact the environment. Building compactly and minimizing the ecological footprint is common, as are on-site handling of energy acquisition, on-site water capture, alternate sewage treatment and water reuse. A very important part of programming is identifying relevant codes and standards that apply to the project. Codes, covenants, deed restrictions, zoning requirements, licensing requirements, and other legal obligations can have significant influence on costs and therefore, affordable GSF. These factors must be identified prior to design.